Track and manage your fleet with these best GPS tracking software. Are you looking for the top 10 fleet tracking management applications? You have certainly come to the right place. 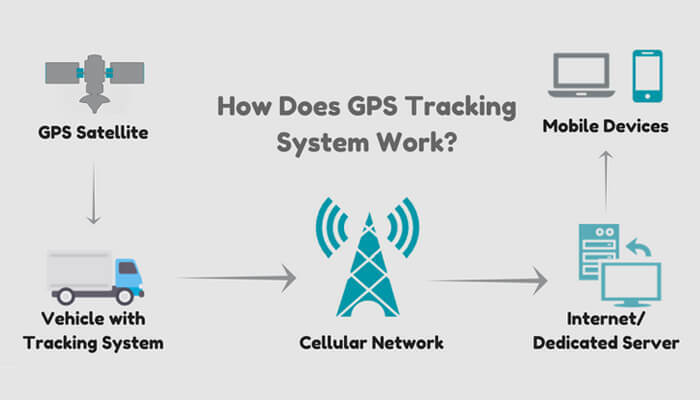 However, before jumping directly on the long list, I would like to start with a brief on GPS tracking applications. Fleet Management & GPS Tracking Software devices allow intermodal trucking organizations to keep an eye on the operations. What time the truck drivers are commencing their duty, how long they are devoting on breaks, and if they are using the vehicles to do non-work associated activities, this all information can be accessed. There are countless examples when GPS tracking devices have been used to settle false claims or complaints against trucking enterprises. Not only this, GPS fleet management and tracking devices are beneficial for truck drivers too. Fleet management mobile apps for tracking can structure the timetable of each driver effectively, which ultimately helps the drivers to plan better. Moreover, these devices can collect the entire data from collating them centrally. Organizations that are using GPS tracking systems have noticed enhanced customer service, vehicle efficiency, and improved driver’s performance. It is the reason why 41% of the organizations are using such management systems, where 80% of users are satisfied with the services. Here are a list of the best fleet management and GPS tracking software. Take a look. 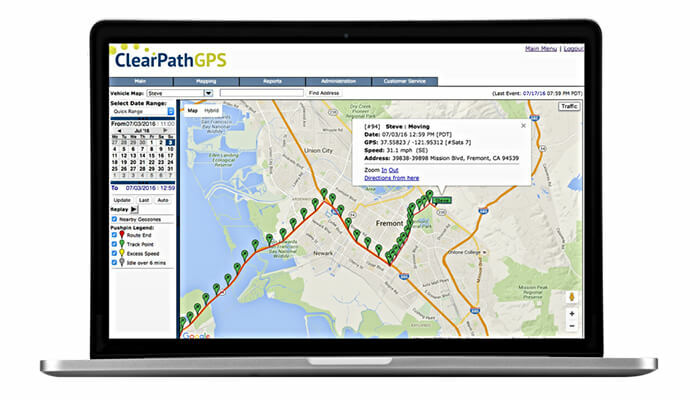 GPS Insight provides GPS tracking and E-Log resolutions that gives an incredible fleet intelligence to organizations. GPS Insight is accessible for all the small, mid, and big companies. 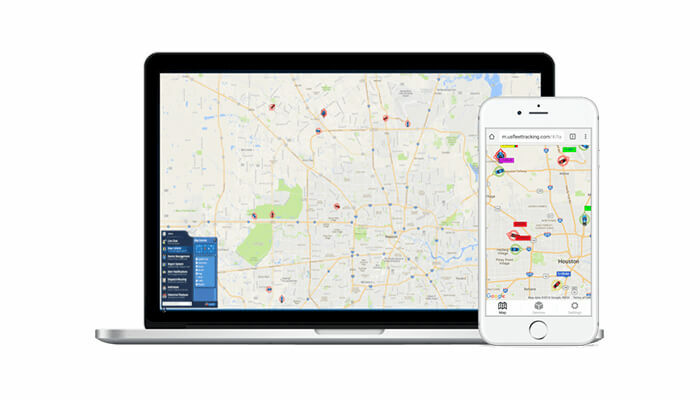 When you pick the GPS Insight Tracking Solution, you will undoubtedly appreciate the product's features and advantages that will illuminate your exorbitant business challenges. 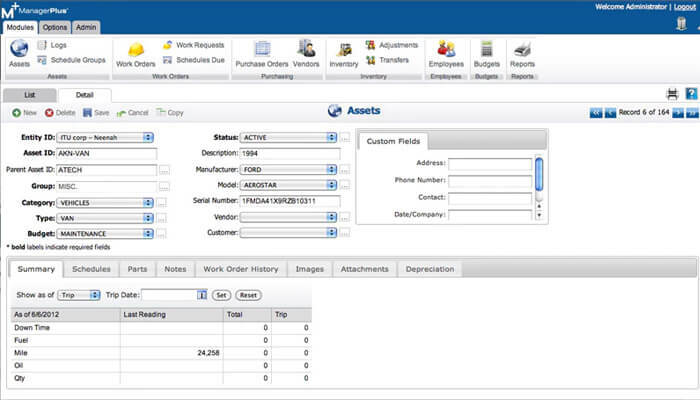 ManagerPlus maintenance system is one of the most accessible applications to use. It enables organizations to oversee resources and grow their ROI while decreasing expenses of activity. Their fleet maintenance programs permit you to manage your fleet and asset successfully by dealing with a countless number of preventive support plans for each vehicle in your fleet. FleetGO offers a range of smart solutions to help businesses of all sizes to optimize their operations and reduce costs. We have a strong focus and keen on technology, and we combine our supreme hardware, state-of-the-art cloud platform and outstanding knowledge in the field of connected fleets, rules, and regulations. With unique features and user-friendly interface, we are becoming the leading fleet tracking company in the UK. Download of digital tachograph files. Automatic logging of hours of service. Plug and play solution to enjoy the better fleet tracking experience. Available on Android and iOS platforms to experience the remote access of your fleets. Another system belongs to this list is ClearPathGPS. As the name suggests, this application offers businesses a GPS tracking resolution with complete control. Its simple to use web-based system contains free mobile applications for both, Android and iOS devices. Moreover, the tool includes a full-service installation with onsite support. It is one of the reasons why businesses love ClearPathGPS. This utility is capable of managing your fleet without any size restrictions. 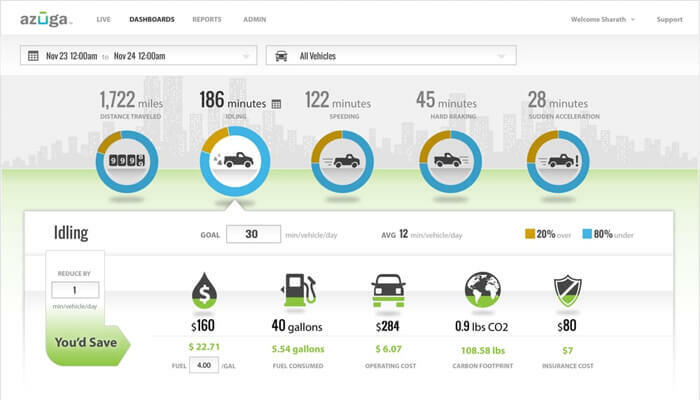 It is the resolution for analyzing vehicle utilization, getting your fleet the accurate size, and sharing vehicles. Its reports help you to spot costs, trends, strengths, and weaknesses in the maintenance program. It empowers businesses and managers, to trace driver scores, diagnostics, trace vehicles, maintenance requirements, and much more. Being a powerful and straightforward to use a system, Azuga lessens fuel usage, premium costs, and the number of repairs required. It is a tracking utility with the ability to cover everything from instant-install OBD plug-in systems to cloud-based applications. Delivers data, alarms on speeding, vehicle history, hard acceleration, hard braking, excessive idling, and other performance and safety indicators. This is an advanced and innovative web-based fleet management platform. The tool makes it simple to maintain and trace the vehicles and equipment. As it is web-based software, you can access it from anywhere. This software makes all operations, including analyzing, tracking, and improving fleet manageable with no size limits. 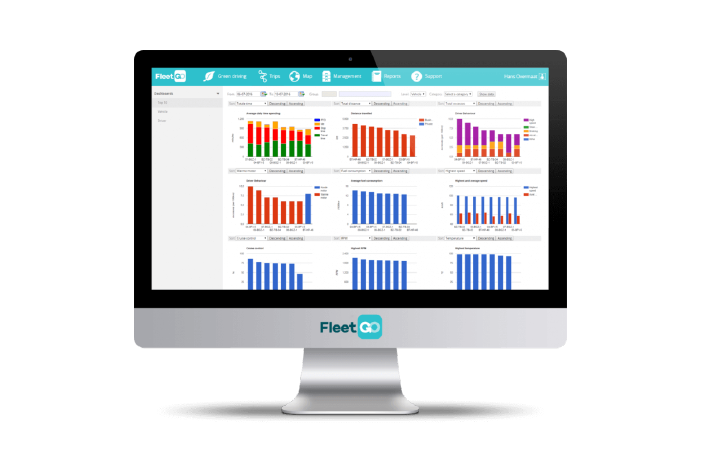 Fleetio comes up with two products, one is ‘Fleetio Manage,’ and another is ‘Fleetio Drive.’ Fleetio Manage is a one-stop solution for the fleet of different sizes, made for collaboration with the built-in mobile-first design and automation. 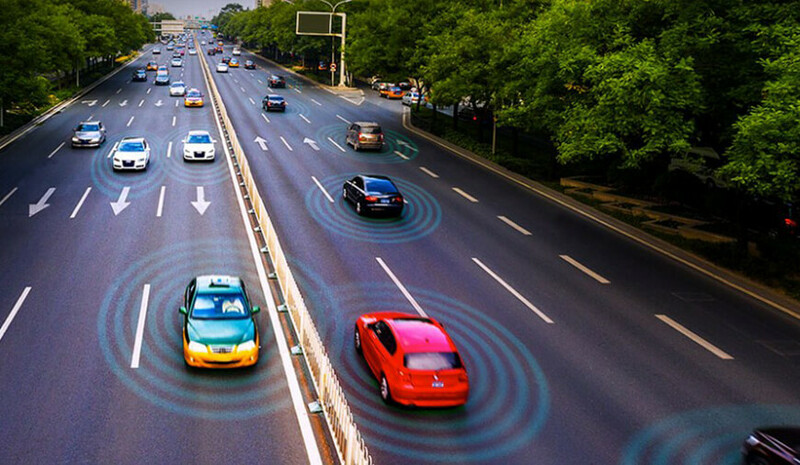 Whereas, the latter one is based on smartphone GPS tracking and driver behavior scoring software. This is an applauded system of safe open platform telematics technology. 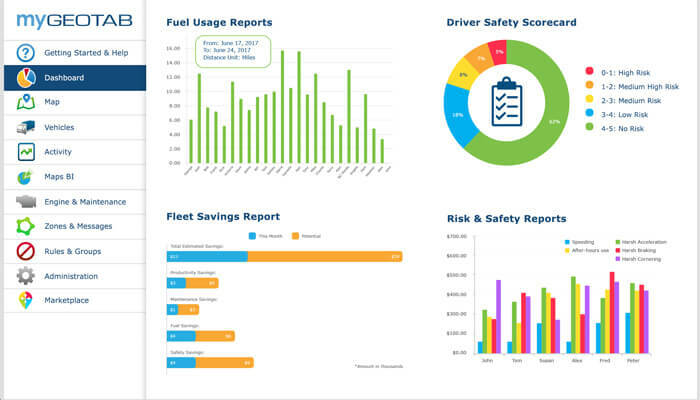 It helps the fleet manager to boost the driver’s safety, productivity, and compliance through Big Data. MyGeotab is also a web-based management system, which offers vehicles and drivers information in one place. Therefore, it is easy to make a better business decision. Vehicle tracking of this app includes a rule feature for the assistant of fleet managers to measure event in 5 core areas. These include safety, compliance, productivity, fleet optimization, and expandability. Provides robust engine data reporting, advanced reporting, driver’s behavior management, GPS vehicle tracking, engine health and maintenance, route optimization, etc. A pioneer of advanced and SaaS fleet management system, Omnitracs serves the transportation industry. This tracking software increases the productivity and safety of the products. Moreover, it helps businesses retain drivers and makes the entire process streamlined. Allows you to get essential insights into customers, assets, drivers, and many more. The last software I have included in this list is US Fleet Tracking. It is a leader in offering live asset, as well as GPS tracking systems and software. Fleet managers have complete control and access from anywhere with this system. Fleet tracking management software has transformed the manner organizations are managing their workforce. These systems are offering software that collaborates, as well as simplify entire processes involved in running a fleet. Recently, there are different types of fleet management software available on the market. Every software has something unique to present. Therefore, after considering the confusion and difficulties you may face while choosing one of them, I have discussed a list of top fleet tracking software. You can choose any of these as per your convenience. It is recommended to use trial versions of these tools to understand their functionality. Moreover, using the free edition of all these software would also allow you to judge the features accurately.